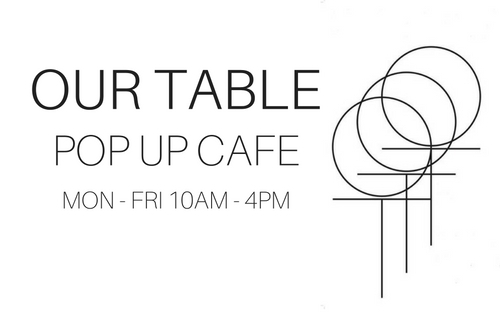 Our Table pop-up café, serving a range of delicious drinks, savoury pastries and sweet treats from 10am – 4pm, Monday to Friday. Our Table is a community driven, non-profit aiming to highlight the need to end direct provision in Ireland. Their goal is to facilitate change through conversation over food. The non-profit organisation provides training and work experience, creating employment opportunities for people, leaving the confidence-stripping, dis empowering asylum system, as well the wider migrant community. In addition to this, Our Table is building up a network of food businesses who are willing to support the project in many different ways, with the aim to set up an affordable permanent venue in 2017. Our Table at Project is now closed.